Scott P. Barron joined the Governmental Services Department of the Firm in 1997 and was admitted as a Partner in 2015. 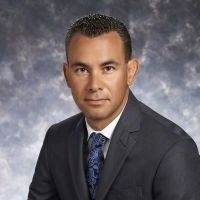 His areas of expertise include the audits of county and municipal governments, school districts, non-profit organizations and federal and state financial assistance programs. He is licensed to practice as a Certified Public Accountant, Registered Municipal Accountant and as a Public School Accountant in New Jersey. In addition, he has also been certified by the New Jersey Department of Community Affairs, Division of Local Government Services as a Certified Municipal Finance Officer. Mr. Barron graduated from the Richard Stockton College of New Jersey (Stockton University) where he earned a B.A. in Accounting. During his career, Mr. Barron has performed accounting and auditing services for numerous municipal, county, school district and non-profit organization clients, most of which are subject to the requirements of the Single Audit Law. He has also developed and served as an instructor for in-house continuing professional education courses in the areas of municipal and school district accounting and auditing. In addition, Mr. Barron has served as a member of the Firm’s quality control inspection team and as a member of Governmental Services Department’s audit efficiency project group.